Scary video shows a school bus skidding down a street and crashing into a sedan. SUTTON, Mass. -- Frightening video shows a school bus skidding down a street and crashing into a sedan. Twenty-nine kids were on board when the bus lost control on a suburban street in Sutton, Massachusetts Tuesday morning, police said. 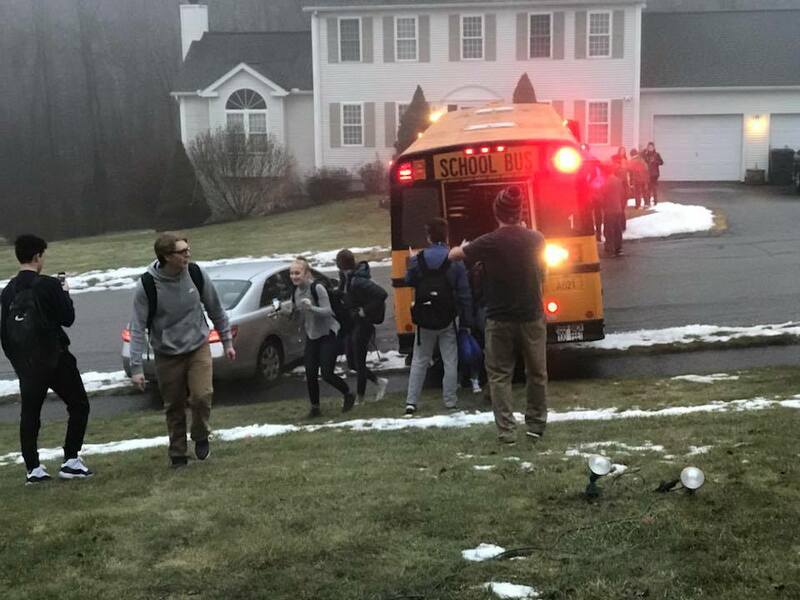 Students exit a school bus after it skidded out of control and crashed into a car in Sutton, Massachusetts Tuesday morning. The sedan that collided with the bus was parked at an odd angle due to icy road conditions. The driver managed to step out of his vehicle before the accident. Police do not believe the bus driver was at fault in any way. This incident was one of two bus crashes reported in Sutton today. A school bus crash later in the day sent a bus driver, bus monitor and preschooler to the hospital.